Stanford has conquered tough defenses before, but TCU’s defense is a different animal. They’re only allowing 17.6 points per game in a Big 12 Conference that is known for its ridiculously high scores week after week. A healthy Bryce Love should help, and the Horned Frogs definitely haven’t seen a back like him this season, but even if he inevitably hits one or two home runs, I think the Horned Frogs will stifle KJ Costello enough to hold the Cardinal under 20 points. As for the TCU offense, quarterback Kenny Hill is more dangerous than many give him credit for. He’s top-five in the nation in completion percentage, and Stanford is 105th in opponent completion percentage. While completion percentage isn’t the most telling stat of a quarterback’s success, the Cardinal are 1-4 in games they’ve allowed opposing quarterbacks to complete at least 70% of their passes. If Hill gets in a rhythm things could go south quickly for the Stanford defense, as the running game will open up and running backs Darius Anderson and Kyle Hicks have the ability to cut out chunks of yards, not to mention Hill’s mobility. The Cardinal certainly have momentum on their side, as despite their crushing loss to USC, their offense has been hitting on all cylinders even with a less than 100% Bryce Love while TCU suffered two demoralizing losses to Oklahoma in their last four weeks of the season. But despite this, I think this matchup favors TCU, and the Horned Frogs will pull away with a game-winning drive led by a Kenny Hill who looks a bit more like himself from his Texas A&M days, more widely known as Kenny Trill. I’m extremely excited about the prospect of Bryce Love having 26 days to rest his ankle. I think it will pay dividends against the Horned Frogs. TCU has the fourth ranked rushing defense, allowing on average under three yards a carry. Despite this, Love has the ability to break huge runs giving his otherworldly speed. A tiny sliver of a hole can be a 50-yard gain for Love where for most running backs that would mean short yardage. I don’t think it will be high scoring since TCU likes to limit the other team’s amount of plays (but luckily for Stanford, it has a home run threat). TCU’s passing offense isn’t as good so KJ Costello to JJ Arcega-Whiteside and KJ to Kaden Smith (They are roommates you know!) will be on full display. I don’t think TCU can rely on Kenny Hill’s arm to win this game, so the Horned Frogs need to be incredibly disciplined on run defense. The Cardinal defense will force a turnover or two to elevate Stanford to another bowl win. TCU has a really strong defense, but Oklahoma exposed them on two separate occasions late this season. They were able to hit big plays in the run and pass game. Big plays is what Stanford’s offense does best. KJ Costello had the highest passer rating on deep balls of any quarterback in the nation, and this could be an opportunity for him to show off that elite arm by launching deep balls to his bevy of tall targets like JJ Arcega-Whiteside and Kaden Smith. Meanwhile, a healthy Bryce Love is the best home run hitter in college football, and he declared himself 100 percent coming into this game. Stanford will move the ball successfully up and down the field, but TCU’s second-ranked red zone defense keeps them in the game by forcing Jet Toner field goal attempts. However, TCU quarterback Kenny Hill is prone to struggles when forced to win games by himself. Stanford’s defense, led by Harrison Phillips in what is perhaps his last college game, slows down the TCU run game and forces Hill to do just that. A late interception seals the bowl win and secures another 10 win season for David Shaw and the Cardinal. These teams have a lot of similarities that will make for an interesting match-up, if nothing else. Both are coming off of a loss in a championship game (to a team they had lost to earlier in the season as well). TCU and Stanford both had their running backs injured earlier in the season, and are hoping to see them playing at 100% for the game. This is especially important given the physicality of their respective defenses, with TCU ranked No. 4 nationally in run defense, and Stanford coming up with 25 turnovers this year. Costello and Hill, as quarterbacks, both have the potential to be brilliant but can be inconsistent, but I can see TCU trying so hard to stop Love that they leave Costello open for some big throws. Overall, I’m putting this as a relatively close game–with Stanford winning based on how Love does against TCU’s rush defense, as well as the Stanford secondary managing against their pass attack. 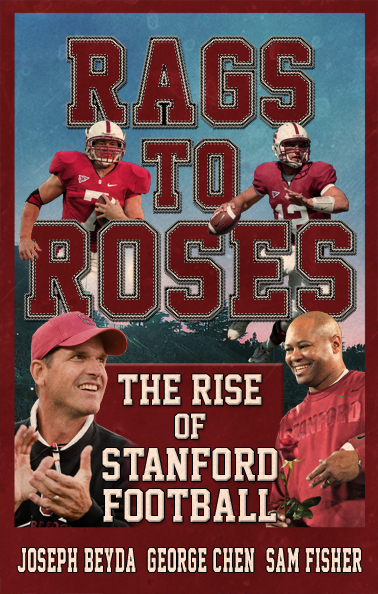 Click to learn more about The Daily's Stanford football book!